Those who choose to buy peptides for bodybuilding often search for the likes of GHRP 6 and hexarelin; it’s not often you’ll hear MGF being mentioned and this is truly a crying shame. If you’re looking for a means of prioritising your anabolism and supercharging your aesthetic development then you should definitely buy mgf peptide – this IGF1 derivative is designed purely for advanced muscular growth and recovery. Our anabolic processes (including muscular recovery, repair and growth) rely on our utilisation of growth hormone – this vital substance is viewed by many as being the driving force behind our aesthetic development. The reason why growth hormone is so vital is because it released into the body and stimulates the liver to release what’s known as “IGF-1” (Insulin-like Growth Factor 1). This particular hormone gets its name due to the fact that on a structural level, it almost identically resembles insulin and can even bind to the body’s insulin receptors, though it cannot do this with the same binding affinity as insulin itself. When we undergo periods of physical exertion involving heavy use of the muscles, our IGF-1 splits up into two separate derivatives. The second derivative is of little concern to us here as it features very little anabolic potency; it’s the first “substrand” however that is of principal interest due to it having the ability to call “satellite” muscle cells into action as a means of rapidly accelerating muscle growth and repair. This first “substrand” is known as MGF – the discovery of this process and the hormone that instigates the regeneration procedure is what led to the development of MGF peptide as a separate supplementary product. Mechano Growth Factor comes in both a short and long acting form – with the long lasting variety being known as MGF-PEG. It’s widely accepted that the latter variant tends to be the most effective means of implementing this hormonal substrand being that it leads to an elevation of anabolism outside of the all important post workout window. “Standard” MGF has a half life within the body of roughly 5 – 7 minutes, meaning that it must be taken immediately following a workout. Whilst this integration window is by no means a problem; there is plenty of evidence to suggest that using it at this time actually cancels out the body’s own MGF production. As such, using the longer lasting variant on non training days will ensure that you can sustain and “replicate” the post workout peak anabolism period, albeit over an extended period of time rather than just capitalising on a 5-minute window. Surplus to these product traits, MGF also stacks easily with other compounds meaning that it can be used as a supplementary addition to achieve almost any aesthetically charged goal. This is one of the few items that can be equally as effective in the midst of a stringent cut as it can during a high-octane bulking phase. The benefits of MGF are largely resigned to the advancement and repair of muscle cells, but by default, this means that it is going to be useful for a plethora of individuals. With this in mind, let’s first consider the bodybuilder and how its application is going to positively impact them. The above list of positive benefits is going to be useful during both a cutting and bulking phase albeit for slightly different reasons. Those who perform a cut must prioritise the retention of their muscle mass; this can be achieved via enhanced anabolism as per the type offered by MGF. When bulking, anabolism is again important as a highly anabolic atmosphere in conjunction with excess calories is ultimately going to lead to enhanced muscle gain. In regards to an athlete, an MGF 2mg dosage vial is going to provide them with an excellent means of advancing their recovery in between highly demanding physical activity sessions. This should, in theory, mean that they’re able to sustain a frequent high level output of physical activity over the course of a typical performance season without encountering frequent dips in performance. All the while, they should theoretically be able to sustain their existing levels of lean muscle mass even whilst operating on a stringent calorie deficit. The MGF 2mg peptide product is going to be hard to detect being that it won’t lead to high-octane visual changes taking place, thus making it difficult to detect to the naked eye. It’s worth noting that advanced testing methods would undoubtedly pick up on its presence, however, should the individual partake in sporting activity/athleticism at a professional level. It’s difficult to ascertain precisely how much of a difference one can expect to make when using MGF as a bodybuilder – initial lab tests performed on rats induced increases in muscle mass by up to 30%. Whilst this obviously isn’t going to occur when administering a mechano growth factor dosage as a human, it’s fair to say that a positive difference is definitely going to be achieved owing to its potent properties. MGF results have been typically reported as being in the region of 4lbs of surplus muscle mass per cycle, with some users managing to gain even more. Typically, those administering it during a cutting cycle have noted that it allows them to sustain their current lean tissue levels more effectively – it should be noted that MGF is usually integrated alongside other products yielding a high level of nitrogen retention, like Anavar, under these circumstances too as a countermeasure. MGF 2mg vials are also widely cited as being one of the best means of advancing recovery and protecting the joints against excessive wear and tear – this can be particularly beneficial in the off-season being that the weight loads being lifted are often of an advanced nature. Advanced tissue recovery is also conducive to further growth due to the fact that it allows the individual to attack the same muscle group with vigour again within a shorter time frame than a natural trainee. A typical mechano growth factor peptide cycle will involve the integration of various dosage quantities based on your individual experience level. Typically speaking, standard MGF doses will fall into the 200 - 300 mcg per injection range and will be administered immediately following a vigorous training session. MGF PEG on the other hand will be put to best use on recovery days via a 200 mcg dose. Usage will not normally extend beyond the four-week range as the body will adapt to the presence of this product, thus leading to diminished effectiveness. There is little reason to state that integrating MGF into any cycle in conjunction with any combination of products would be an issue; it’s simply a very dexterous supplementary agent that can help to “fine tune” anabolism in conjunction with any existing anabolically charged products. Despite its high level of accessibility, it’s worth noting that there are still some potential mgf peptide side effects to look out for during your usage phase. MGF dosages at any level may yield any one or several of these adverse issues depending on your individual genetics – this is why it’s always wise to get a pre-cycle health check performed prior to substance utilisation to ensure that you are in “good standing” and have no medical conditions that your chosen products may interfere with. Some choose to use MGF for four weeks before then moving onto exogenous IGF-1 to sustain the anabolic effect for as long as possible – this may be an effective means of promoting maximal growth capacity and will ensure that the body does not fully adapt to the substances being utilised. There is currently no research documentation or evidence of any kind to suggest that continuous use of MGF (in an alternate administration fashion, i.e., 4 weeks on, 4 weeks off) is harmful save for the possibility of the previously outlined side effects arising. You can order mechano growth factor safely and effectively from the valkyrie online store. Our commitment to customer satisfaction and safety sets us apart from every other anabolic supplier on the Internet, and we guarantee we’ll deliver the optimal results you’re looking for. 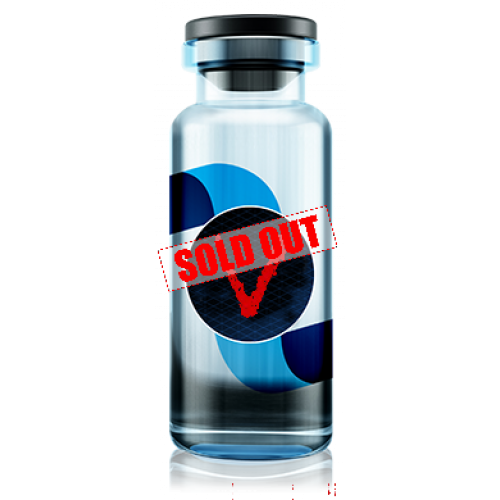 Ordinarily, those wanting to purchase mgf peptide have to wade through an array of illegitimate suppliers and risk their money on the small chance that they’re going to receive exactly what they’re looking for – but not with us. Should you purchase from us and adhere to the appropriate administration guidelines, you’re sure to have a safe, highly beneficial time with mgf peptide. Don’t forget to share your results with our wealth of existing happy customers and take advantage of our loyalty scheme with future orders to save hundreds per year.